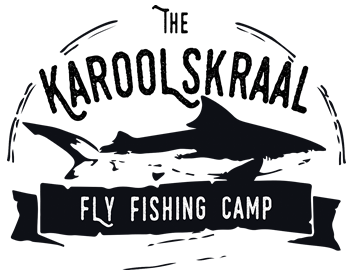 Karoolskraal Fly Fishing Camp is located on the private farm Rhenosterfontein at Witsand on the Breede River in the Western Cape. 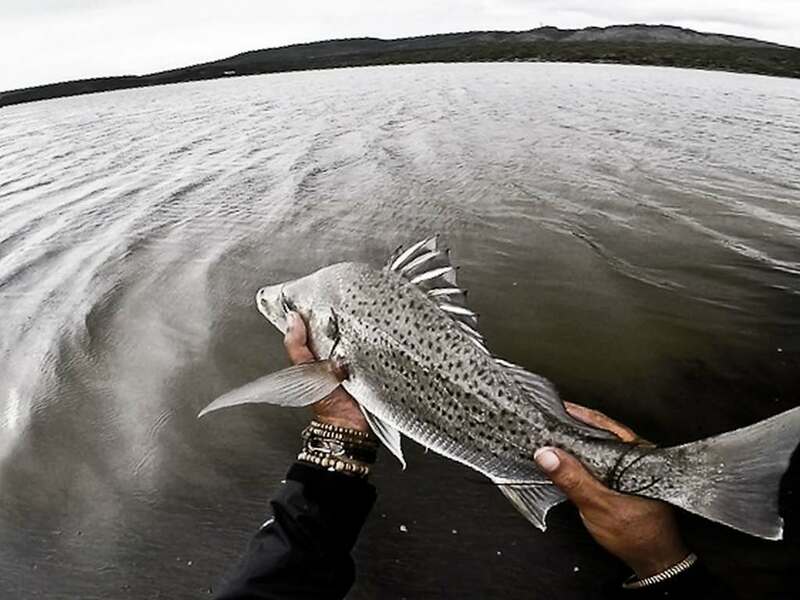 Karoolskraal offers a perfect combination of diverse and challenging fishing conditions, very good fish stocks and privacy. 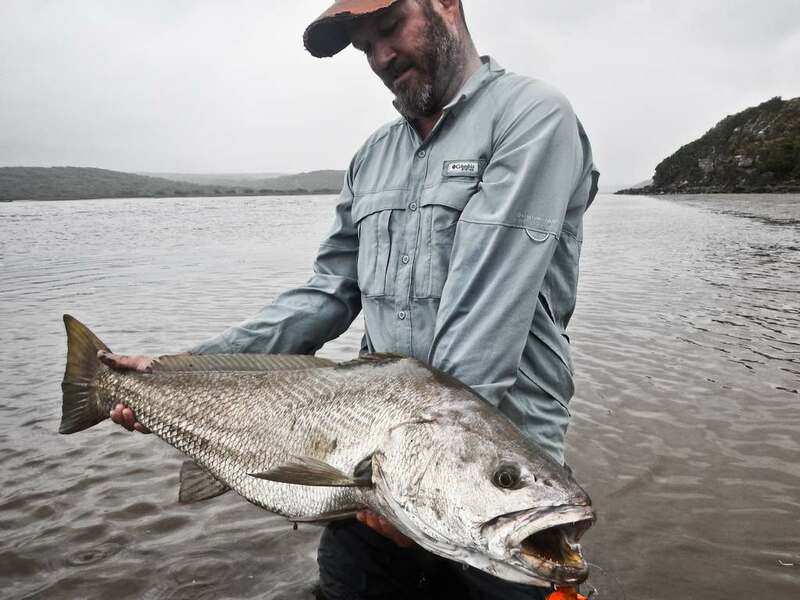 Our fishing safari camp allows exclusive access to walk the banks and rock shelves in front of the camp, where we often have grunter tailing and garrick chasing mullet. 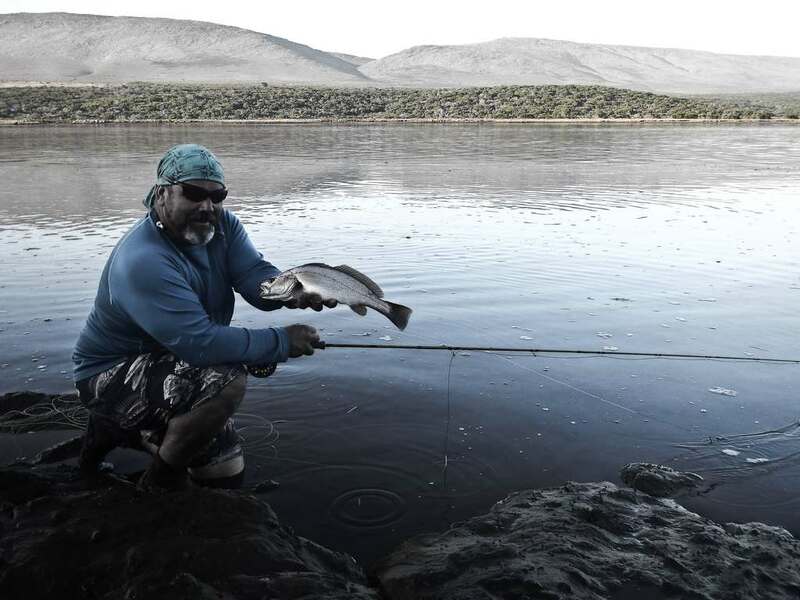 Deep water for kob is accessible off rocky points, allowing fly fishermen the chance to catch a 1 m+ kob on fly from land! Getting there: Karoolskraal is a 3h30 drive from Cape Town, a 2h30 drive from George and 10 minutes from Witsand. 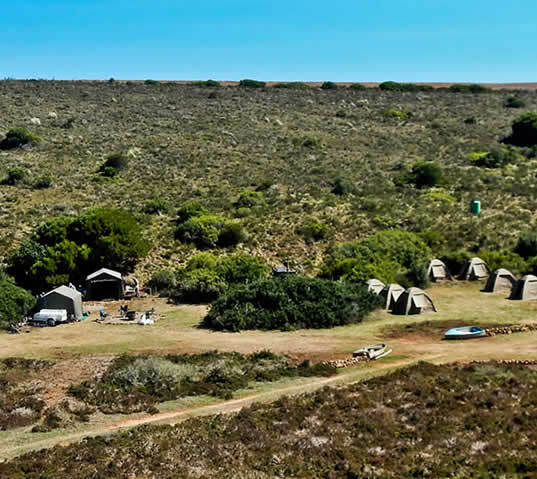 Camp setup: The Karoolskraal Saltwater Fly Fishing camp is set up in safari style, whereby each guest is accommodated in his/her own 3m x 3m bow tent equipped with stretchers and mattresses. Ablutions: The camp is serviced by eco-toilets and hot water showers. Dining & food: Our fully functional bush kitchen, which is set up for the duration of the trip, serves three traditional home style meals a day. Drinks can be brought in or purchased in Witsand. The Grand Slam is our target during the clinic. 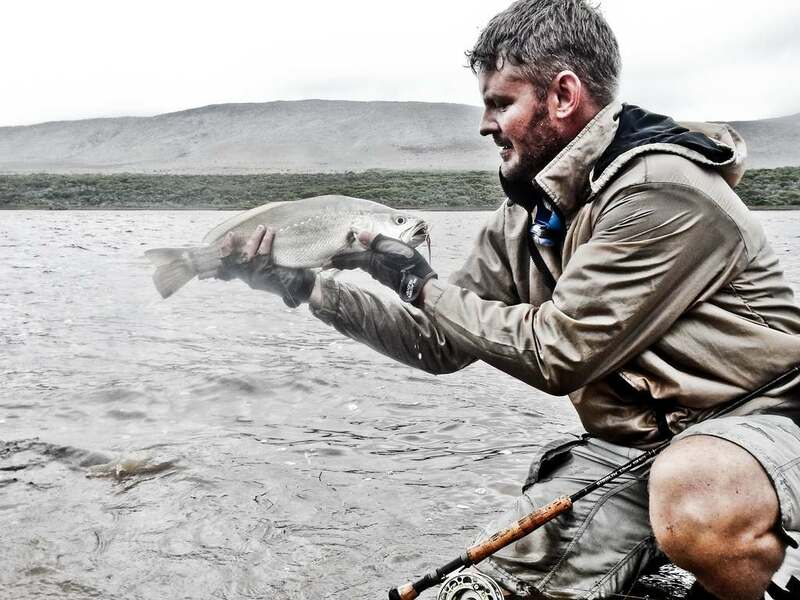 The Grand Slam provides an opportunity 2 of the hardest fish to catch on fly, namely grunter and kob, combined with one of the easier species, such as garrick. The Grunter is a very sought after fish on fly at the moment and has been referred to occasionally as a ‘poor man’s permit’. Powerful tails and a discerning temperament mean you are going to need to study the water carefully and present your flies well. Kob, on the other hand, is more typical of predatory fish, although accessing them is the challenge. Expect to cover a lot of water to increase the time your fly spends in the strike zone. The Garrick is a great quarry on fly – aggressive and very fond of a surface fly, this should be the easiest fish to catch on your quest for a Grand Slam. However, hooking into a large garrick will definitely have you on the receiving end of a great fight.  All in all, the 3 different species offer 3 unique fly fishing challenges and therefore, collectively, make this venue and clinic a fascinating fishing experience. Henkie and the guides will cover basic techniques, such as line control and casting in the wind and the surf, tying grunter, kob and garrick fly patterns, reading a saltwater system, and the preferred means of presenting and retrieving the fly for the different target species. Flies: If there is an interest. Henkie will present a fly tying demonstration and explain why he find those flies so effective. Guests are welcome to bring their own fly tying kits. Contact us for prices. A package includes tented accommodation, eco-ablutions, meals and fly fishing on privately owned water, but excludes linen and towels, drinks and fishing tackle. Prices are based on groups consisting of a minimum 3 people and a maximum of 6. 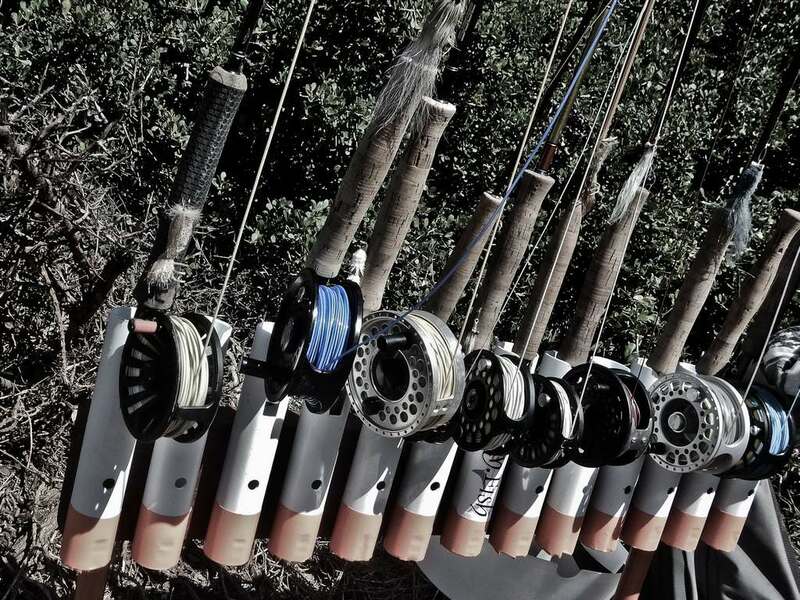 Are you ready to put an end to unsuccessful saltwater fly fishing? Complete the form below with your preferred dates to book your spot on the next available camp. The duration of the trips is a minimum of 3 days for a minimum of 3 fly fishermen, with the maximum number of 6 fly fishermen for 5 days. We will be able to extend on the 5-day trip if the need arises. Please note that we charge per day, not per night, a 5 day trip will mean 4 nights. Please contact us for pricing. Complete the form below with your preferred dates to book your spot at the next available clinic or visit the camp.